It probably has not escaped your notice that Tasmania is an island. 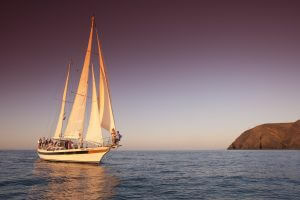 As such, it follows that it’s not only a great place to sail, it’s also almost a necessity in order to truly enjoy all that this sea-locked destination has to offer. With our capital city set right on the water and most of our other major centres arranged around the coast, you could say that the action is pretty aquatic out here. Image thanks to Tourism Tasmania & Supplied Courtesy of The Tasmanian Walking Company. Though it was spotted by a Dutch explorer in 1642 and then by the French in 1772, it wasn't until Matthew Flinders and George Bass sailed through what became known as the Bass Strait in 1798 that Tasmania was determined as an island. From then on, maritime activity was central to survival on Tassie, the first settlers being sealers and whalers. When captain David Collins picked a spot in Sullivans Cove on the western side of the Derwent River, it was because fresh water was more plentiful. 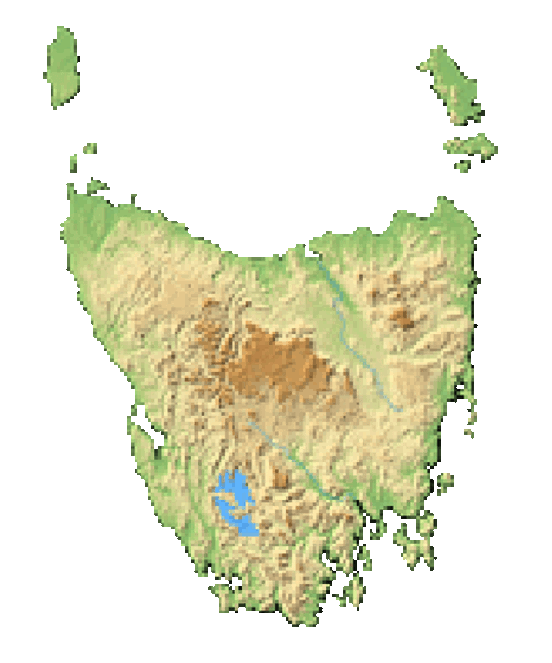 That settlement became known as Hobart. Wealthy settlers began arriving in droves from 1820, and discerning, sea-loving locals and visitors have continued to fall in love with it ever since. Right on the estuary of the River Derwent sits Tasmania’s gorgeous capital, arranged around the third-finest natural harbour in the world. Set sail southwards towards the descriptively named Iron Pot--a lighthouse at the entrance to Hobart’s harbour. You can set off in the morning or afternoon, the latter tending to be windier, and look out for dolphins, seabirds and whales in season. 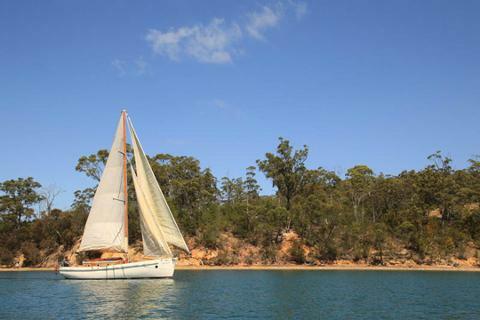 While you’re in the neighbourhood, give D’Entrecasteaux Channel a cruise to enjoy the gorgeous scenery and access to little fishing villages. Image thanks to Mitch Osborne. Explore the Gordon River from western city Strahan. Cruise up to the rocky shores of Bonnet Island in vast Macquarie Harbour to meet the incumbent tiny penguins, or venture further inland to glide past ancient rainforests. This pretty inland city refuses to miss out on the maritime fun and is home to a number of yacht and sailing clubs, thanks to its position on the Tamar River, with the country’s longest navigable tidal estuary. Head through the valley for spectacular views of Cataract Gorge, stop off for local delights in vineyards and farms, and spot sea eagles, pelicans and seals. Image thanks to Samuel Shelley. 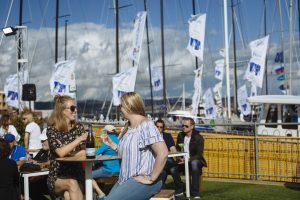 As iconic an event in the Tas national calendar as the Melbourne Cup, the nonstop action of Rolex Sydney to Hobart Yacht Race has captured Australia’s imagination every Boxing Day since 1945. 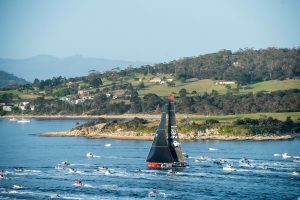 The fleet takes on the toughest sailing competition in the world, racing 630 nautical miles from Sydney, through the shallower waters of the Bass Strait, battling southerly blusters past Flinders Island and round to Constitution Dock in the hopes of raising the Tattersall’s Cup. Image thanks to Alastair Bett. 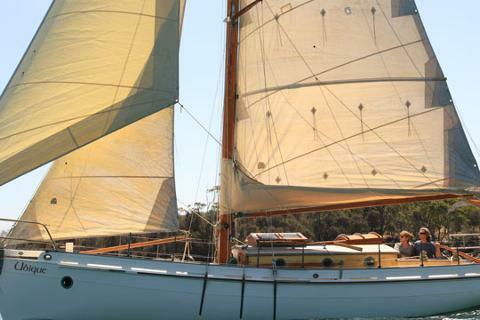 A more sedate tradition, but no less ingrained in Tassie culture, is the craft of wooden boat building and sailing. Early explorers who stumbled across tree trunks buried in the mud of Van Diemen’s Land guessed (rightly, as it turns out) that the untouched timber would be perfect for boat building. 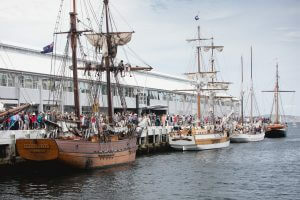 February is the best time to see them in all their glory, when the golden-hued Huon Pine beauties take over Hobart for the Wooden Boat Show. Image thanks to Samuel Shelley. 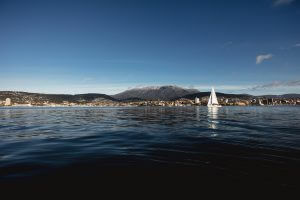 Whether it’s aboard a yacht or a more traditional craft, sailing lessons and courses from absolute beginner to crewing, skippering and racing are easy activities to find all over Tassie. So get stuck in learning the ropes - literally. Sydney to Hobart Yacht Race has a distance approximately 630 nautical miles which is around 1,170 km!